There is little question that Ervin Mears Jr. wants the best for his son. 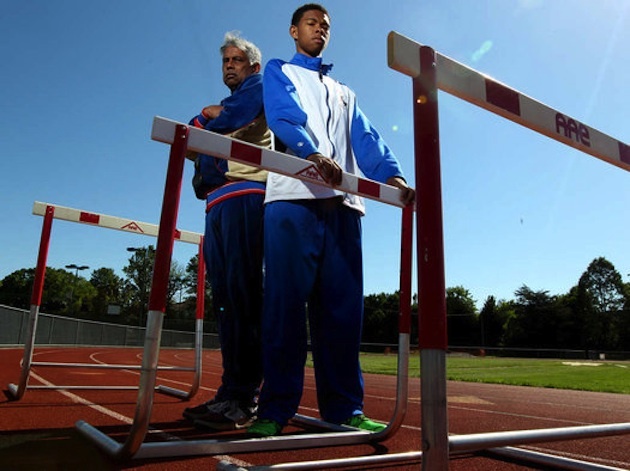 The issue is that he also thinks that the track team at his son’s school failed to provide those conditions, a violation that he deems to be worth approximately $40 million. 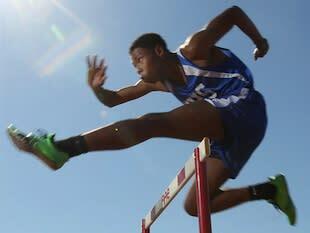 As first reported by the Philadelphia Inquirer, Mears Jr. filed a federal lawsuit against a slew of parties -- a track coach, principal, superintendent and school board among them -- after his son, Mawusimensah Mears, was kicked off the Camden County (N.J.) Sterling Regional High varsity track team. The elder Mears claims that his son was bullied and harassed during his time on the Sterling Regional squad, then was kicked off the team. The Mears family seeks $40 million in compensatory damages for the persecution they allege befell Mawusimensah during his freshman season with Sterling Regional. The official reason for Mawusimensah Mears’ dismissal was unexcused absences from practice, though his father said that both a family death and leg injury provided ample justification for his son’s missed practices. Yet, at the root of the elder Mears’ lawsuit is a controversial claim that his son has a right to participate in extracurricular activities, turning the long held adage that sports, music and the like are privileges on its head. Critics have been quick to accuse Ervin Mears of interfering in his son’s education, an accusation he both accepts and embraces. "Interfering?" Mears asked, his voice rising in response to a question about whether filing a lawsuit was interfering with the school's prerogatives. "That's my son. I better interfere. I better make sure he gets every opportunity." In the Mears family’s interpretation, “every opportunity” is taken quite literally. The bulk of the harassment that the family cites in its lawsuit is in the form of the Sterling Regional coach’s refusal to run Mawusimensah in varsity races … while he was still a freshman. Ervin Mears insisted that his son was persecuted against because the coach decided to run seniors in those races instead of Mawusimensah, even though the younger Mears was often the faster competitor. Mawusimensah himself said that failing to line up at the start line often left him feeling “disrespected,” though at least one former track coach in the region equivocated over blame in the incident. "I can understand how the father feels. I can understand the coach," Joseph Rafferty, the Superintendent of the Gloucester School District and a former track coach and principal told the Inquirer. "Sometimes you're not going to make anybody happy." Now it will up to a federal judge to determine if Sterling Regional officials really were obligated to help make the younger Mears happy on the track, and whether $40 million will accomplish that after the fact.